Even though the ink on the BMW press release for the i3 has yet to dry, the first comparison of the Bimmer with range extender vs the Chevrolet Volt is now underway. Now to preface this report, it is not so much how the BMW i3 REx drives vs the Chevrolet Volt, but rather will the BMW i3 with the range extender option added on compete with the Chevrolet Volt. 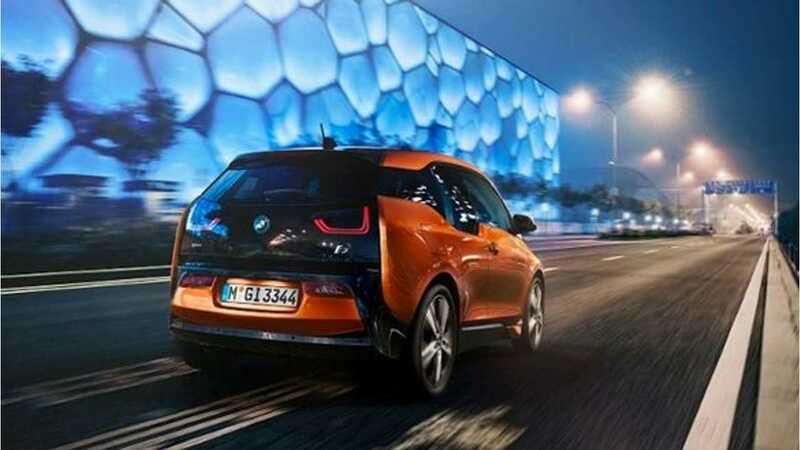 We'd love to have a test drive comparo of the two - however, even though as a group we own (or have driven extensively) every model year of the Chevrolet Volt here at InsideEVs, BMW has yet to allow any journalist any extended time in their extended range BMW i3. So, we will work with what we know. Using our Grade 3 math skills, there is a base difference of $6,055 between the two...$6,130 if you want to get picky and in the extra $75 in destination fees on the BMW. In reality, the Chevy is actually much less, as it is currently in its 4th calendar year on the market in the US - so discounting is wide spread, while the BMW i3 which comes on the market in Q2 of 2014 will likely not be discounted until it has been on the market for quite some time. Once again, we can't tell you how the BMW i3 REx handles, but we can tell you that everyone seems fairly satisfied with the all electric version. That being said, questions remain: How well does the i3 transition to extended range mode? How much interior noise is added during the operation of the 2 cylinder motorcycle engine? 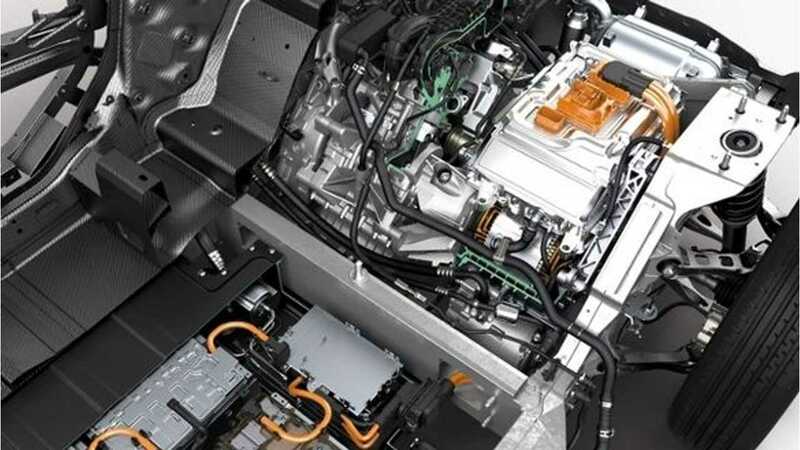 Is the 34 hp/55 lb-ft motor really capable of sustaining a charge level in the i3's 22-kWh battery under extended amounts of distressed driving? Who knows. As for the Volt , it went through years of R&D, has had 3+ years of real-world proofing, and clearly has a more capable/exotic extended drive architecture. We feel that most likely the Volt will offer a more refined ride, despite its underdog Chevrolet vs BMW badging on the front. And darn you BMW for those 155/70 19" tires up front on the i3...we get you are looking for efficiency, but c'mon. The Chevrolet Volt is heavy with a capital H compared to the i3 REx, and there is no way around the effects of that on the performance numbers. The Volt tips the scales at 3,781 lbs to the i3's 2,899lbs (2,634 without the REx). 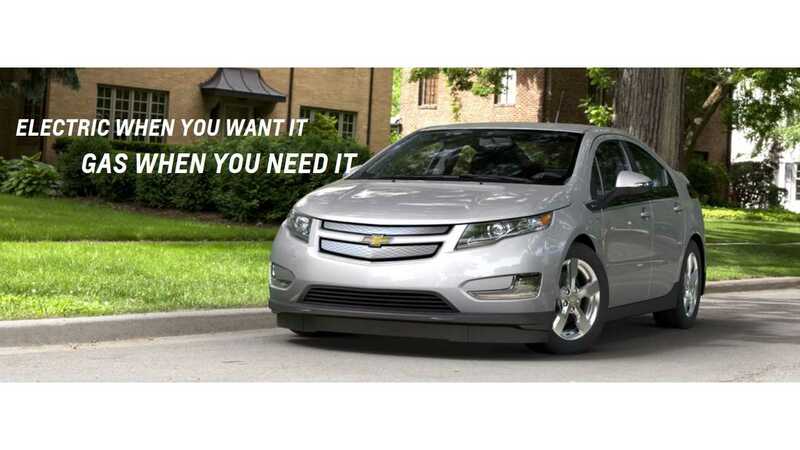 882 lbs is too much for the Volt's 111 kW/273lb-ft of torque motor to make up against the i3's 125 kW/184 lb-ft power plant. Again, until we get to spend 4-5 hours in a BMW i3, no comparison can be made. 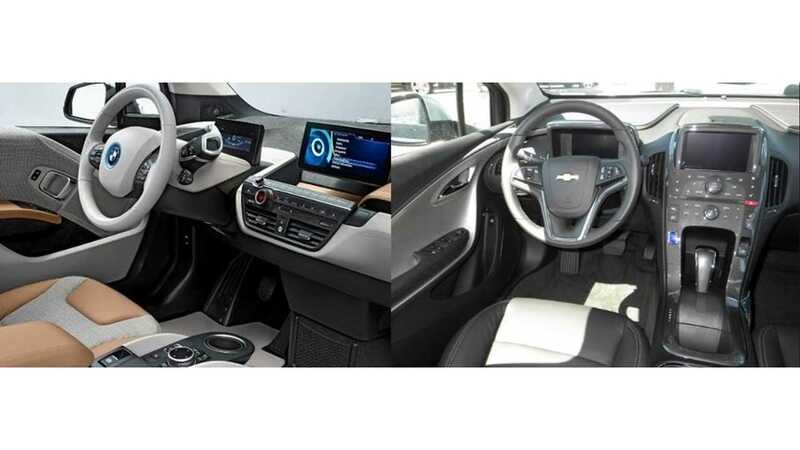 We can say that we have no complaints inside the Volt, other than it is perhaps a little cramped in relation to its price-point and status as a family sedan/people mover. The BMW i3 dimensionally is much shorter in length than the Volt (although 6" taller), but interior front head and legroom are very similar. Like the next segment will be easy to call for the Chevrolet Volt, this one is all BMW i3 REx. 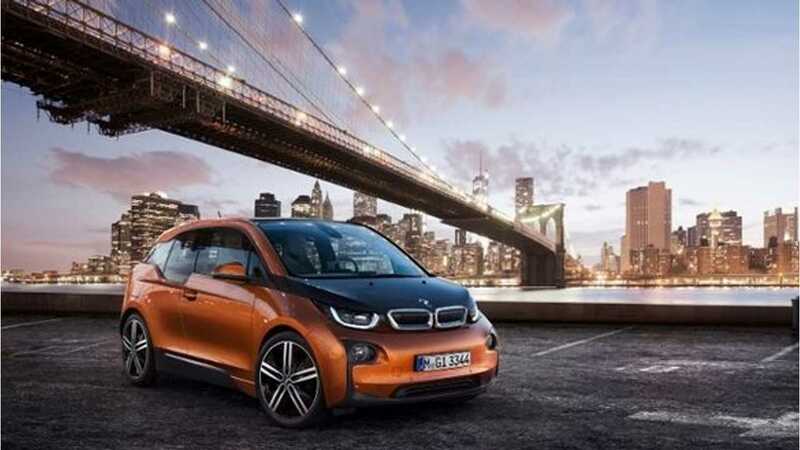 The BMW i3 pure electric version has a BMW touted "80 to 100" miles of range. We feel that an EPA rating of about 93 miles is a reasonable expectation. That being said, the REx is going to take a penalty of about 10% due to extra weight and a little more Cd (.30 vs .29)...for arguments sake, we are going with about 83 miles in REx trim. It is worth noting at this juncture that like the electric range on the i3 that has yet to be vetted by EPA standards, the same can be said of the extended range and MPG figures. Additionally, if BMW's addition 87 mile range estimate is proven accurate, the MPG figure will actually be higher than 38 MPG due to the all-electric range penalty of the REx edition. 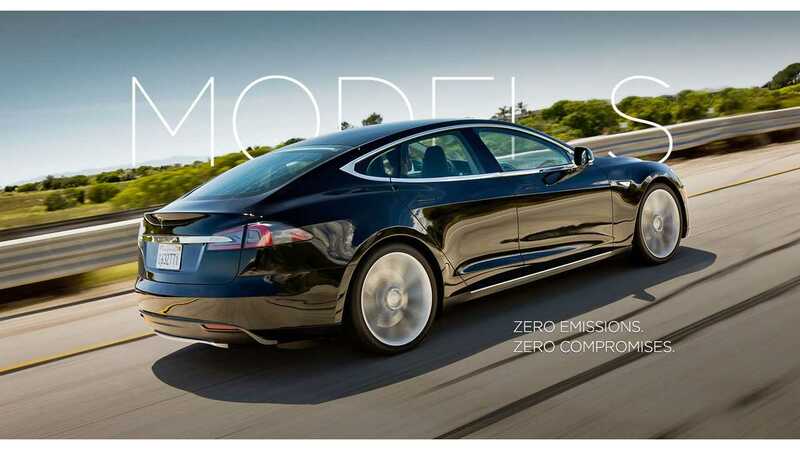 ie) the REx is estimated to travel 10 miles less than the all-electric i3, yet will travel up to 87 miles further overall, so the net increase is 97 miles on the same 2.3 gallon capacity tank, or 42 MPG. The BMW i3 will have little to any effect on the Chevrolet Volt's acceptance and sales in the US. And the Chevy will continue to be the extended range king for North America. But why you ask? And how can you be so sure? Because a lot of the numbers we just went over seem to favor the BMW i3 REx. And that is true enough - however, mere statistics alone are not what sells plug-in cars in the United States - for the most part pricing, rebates and federal credits in conjunction with the stats sell the cars. The hard reality is that plug-in vehicles are not priced for 'everyday' Americans; everyday Americans can't afford them. But through the federal government's $7,500 credit, and the magic of leasing, everyday Americans are getting into cars they really could not otherwise afford. More than 80% of plug-ins (without a Tesla badge on the front) are leased in the United States...and that is real reason the BMW i3 REx poses no threat to the Chevrolet Volt, or Nissan LEAF, or Ford C-MAX Energi, etc. But perhaps to the 60 kWh Tesla Model S, or future offerings from Audi, Mercedes-Benz and the upcoming limited-run Cadillac ELR. 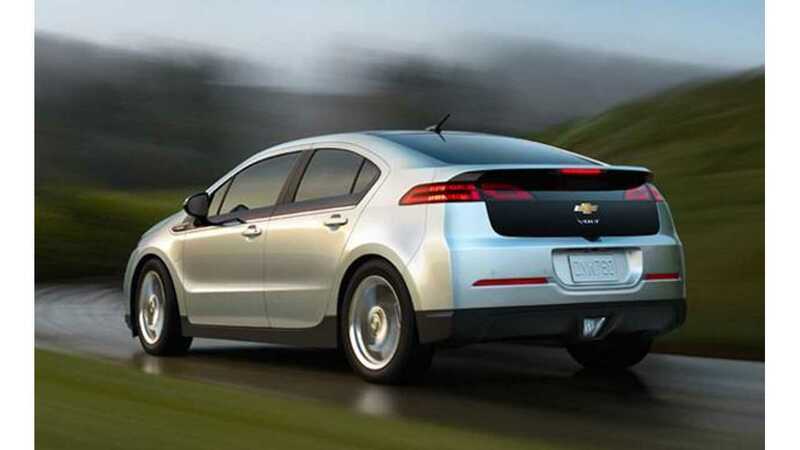 The 2013 Chevrolet Volt starts at $39,995 (incl dest). However, factoring in all the rebates/incentives and the $7,500 federal credit, the national lease offer starts at $269/month with $2,399 due at signing. Many are finding deals even better. 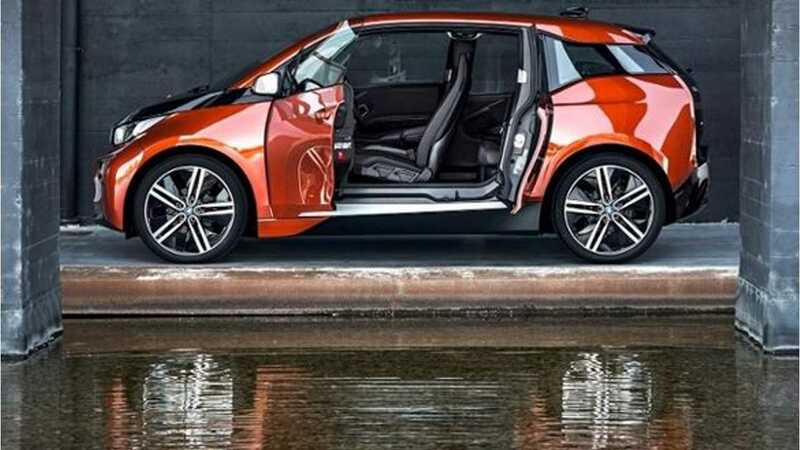 Conversely, the BMW i3 REx from $46,125 (incl. est $925 dest), even if leased at a better-than-industry rate of 45% residual value, with discounted financing and minimal acquisition fees is likely to net out around $500/month after the $7,500 federal rebate is applied, with a deposit of some significance to get the deal going. 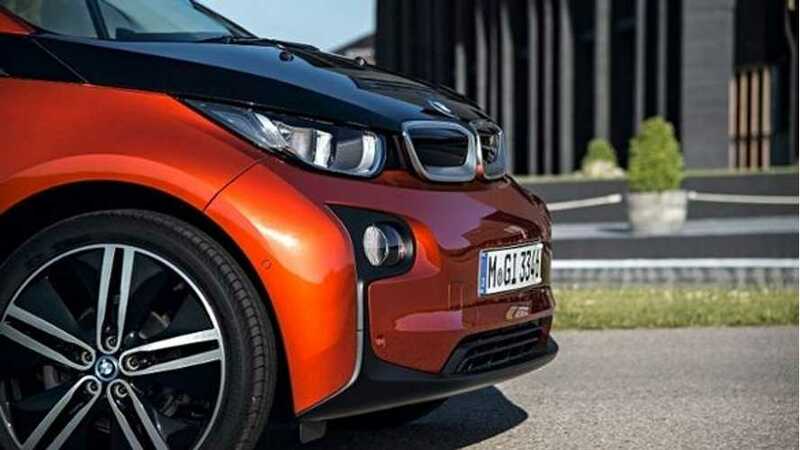 In fact an example of this can already be found in the UK, where the base BMW i3 lease rate has been set at £369 or $565 US dollars, for a vehicle priced at £30,680 ($46,700 USD) before incentive of £5,000 ($7,620 USD) is applied. A £2,995 ($4,550 USD) deposit is also required to get the deal. While the BMW i3 REx may be superior in many ways to the Chevrolet Volt, to many US customers who are considering the extended range Chevy, they simply can't afford to look at the i3 REx...and to the rest who are only considering leases, the Bimmer is twice as much. And the BMW i3 is just not twice as good.